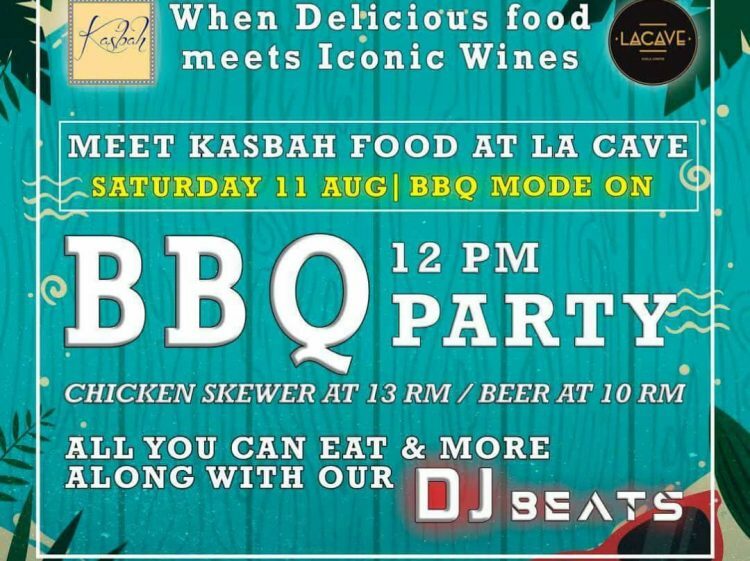 The grill is hot and the drinks are cool….so come join La Cave and Kasbah for a fun barbecue! All you need to do is show up and enjoy some delicious bites of Kabab with sips of cold beer! Get together on Saturday, 11th August, for this open BBQ day, and enjoy all what you can eat, drink, and dance with fun DJ beats.